Two greatest footballers of today’s generation, Cristiano Ronaldo and Lionel Messi playing against each other in a same league and taking their rivalry of being best in the trade to the highest possible height week in and week out, we as a football lovers are taken but for a best ride. We cannot ask more than what these guys gives us; records, records and records. The Spanish league may not be as exciting as English Premier league as it involves only two teams challenging for the trophy as it is evident from the point gaps created between the best two teams and other teams, but what makes exciting about Spanish league is that world’s two best players plays for the two best teams in the world (On paper, if some of you may argue). The points their teams earn and yet end up playing runners up which could actually be a record point scored in other premier leagues of Europe (even though I concede to the fact that it would be more difficult to get that many points in other leagues) shows how competitive they are against each other. Barcelona conceded the league to Real Madrid this season even after getting 91 points, and Real wins the league with 100 points,a record-point in the history of top European leagues. Two great players thanking the God! However, this article is not about two best teams or best league but about two best players; Lionel Messi and Cristiano Ronaldo. On a personal level, both the players had a phenomenal season with Messi scoring 72 goals and breaking the highest number of goals scored and becoming Barcelona’s all time top scorer. Cristiano ronaldo hit 46 goals in la liga, 4 less than Messi’s but he’s the only player to hit more than 40 league goals consecutively, and also became the fastest player in la liga to score 100 goals at 92 matches. But the question that remains is who’s had the best season? Is it Messi who hit 72 goals and ended up without the league title or is it Ronaldo who even though has fewer goals at 60 but ended up with the very important title, Spanish La liga? Firstly, let’s talk about the record breaking 50 goals Messi scored. There’s this argument going around that without this many goals scored by Messi, Barca would be right now sitting in 6th position, happily waiting for the Europa league draw for next season while Ronaldo’s Madrid would still be sitting at top of course with 32 points lesser than 100. It can be argued that Messi was decisive for his team more than Ronaldo this season by going through the above stats, but stats are nothing if it didn’t convert itself to winning the title or did not come in the pivotal matches of the league. I am not proving anyone that the goals were not helpful in the season long built up. They were handy in most cases except that they did not really matter when it should (Winning the league). And not to mention how this assumption of 1st and 6th position would be totally wrong without these players in it and other teams playing with different strategies to suit the play. Lets breakdown the goals of these two great players, and see how the goals were pivotal. Out of 50 goals Messi scored, 35 goals came at Nou Camp. Barcelona lost the league title away from home though the final nail in coffin came at Nou Camp against Madrid. Away from home, Barca drew 6 matches and lost two, in which Messi scored only one goal. In total, Messi has scored 15 goals away from home. However for CR7, it’s a different situation, he scored 23 goals away from home amongst his 46 goals; the best performance coming against Barcelona 2-1 at Nou Camp, and that hattrick against A.Madrid and Sevilla. Let’s talk from the point of number of matches in which these guys have scored. Usually these two guys score week in and week out, so basically they can have goals scored in every matches, but again, assumptions are wrong. Messi has scored in 25 matches, out of which again most are in home matches, while Cristiano scored in 27 matches. That’s the record number of matches a player in single season has scored. Cristiano also holds the edge when it comes to the number of opponents, a player in a single has scored against, having scored against every opponent in the league while Messi falls short of two opponents which include Madrid as well. Classicos are always considered as the deciding matches of the league whenever it is Barcelona and Madrid involved in the race at top two. This time’s classico matches have been no different except that the second classico match sealed the league. First classico, both the players didn’t score but Messi did provide an assist while Ronaldo blew away the two wonderful chances which could have all but won the match for Madrid as they were leading through Benzema’s goal when CR7 blew that chance to make 2-0. However, with Madrid sitting at 10 point clear above Barcelona till March, the league title seemed all over for Barcelone only to wait for string of draws for Madrid which cut down the lead to the 4 points and classico match at Nou Camp was left to decide the title. Up stepped CR7 to score the victory goal. Messi again did not go out of the match without doing anything, he provided that assist for Barcelona’s only goal in the match but the league was but all over for Barcelona. So until the league was alive for Barca, the goals scored by these two players were equal at 43, then why so a big difference in the goals scored (50-46) which makes me to point out that in the remaining matches, Barcelona played but for Pichichi (highest goal scorer individually in the league) in which Messi scored 7 goals which counted for nothing but a personal glory for latter. 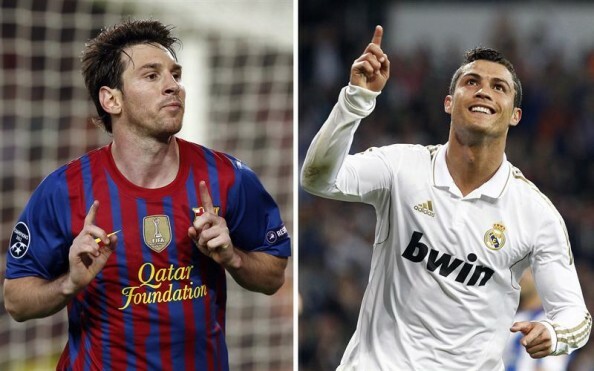 If you analyze, theopponents against whom these two have scored, Ronaldo has again a better statsthan Messi. CR7 has scored more goals against the opponents sitting at the betterhalf of the points table. So it can be argued that Ronaldo had a better league season than Messi even though Messi leads latter in goals and assists. Again there is an argument that Messi has scored more goals in Champion’s league, a record -14 goals in a season. If we break these goals, again, half of Messi’s goals came against Bayer Leverkusen, 7 goals in two matches, in the process Messi becoming first player to score five goals in a single Champion’s league match. But in the last two semifinals of Barcelona, Messi was virtually absent, first match he lost a ball to Frank Lampard which resulted in a goal, and second match, again Messi lost a ball which resulted in a goal from Chelsea. He had a better chance than anyone to take Barca ahead with penalty that he missed by hitting on the bar. It would have still been better for his team mates, if he could have scored one or two against Chelsea than those seven against Leverkusen. 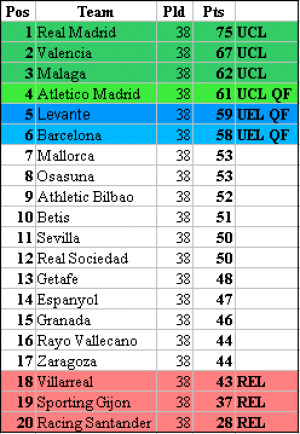 Now looking at the goals CR scored, 12, they also did not result in a good ending for Madrid. However, he can be blamed for having his penalty saved by Neuer, and becoming a part of team failure to win in a penalty shootout but he did his part to at least take the team till the end. He assisted a goal to Ozil in Bayern and scored two in Madrid to take the game to the end. Coming to the trophies these two have won, Messi sits again at top with three trophies and one yet to be played for which he might possibly win, and Ronaldo with a single league cup. 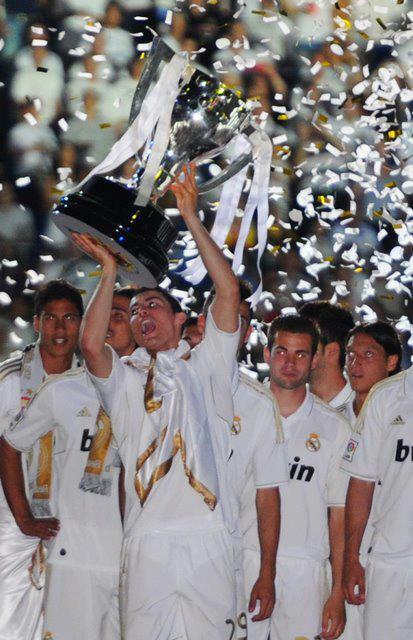 However, the values of the trophy won surely are in favor of Ronaldo. There’s never a comparison of Spanish super cup, World Club cup, European super cup with the league cup. Amongst all the cups, Messi might have, Copa Del rey is even better which he needs to win. And when Ronaldo won that for Madrid last year at the expense of Barcelona in final, it didn’t really make a point for Ronaldo even though he was the record goal scorer with 40 goals in a single season and finished 7 ahead of his counterpart. Therefore, conceding to the fact that Messi is a best player right now, Ronaldo surely had a last laugh this season. 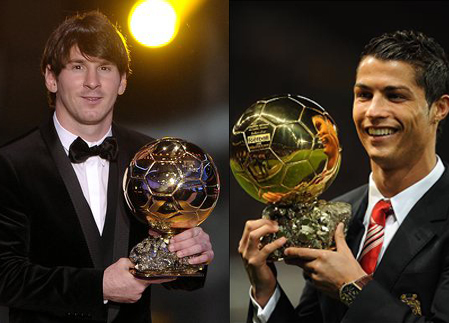 It will be interesting to see how voting will work for the Ballon d’Or award 2012. Will it be like 2010 when Sneidger had the best season of winning almost every club trophy and taking Dutch to the final and ends up without getting any award and Messi winning the award on popular basis? Or will the voting be in the basis of the team award won? Who had a better season this time- Ronaldo or Messi?